The training for this year’s new recruits has only just kicked off, but today I’d like to write about last year’s team. At AMATA, a training session is held at the end of the first year for new recruits to allow them to reflect on their first year at the company. During this session, each of them are to give a 10 minute presentation on their utilization of the PDCA cycle and how much they’ve grown over the past year, with awards for those who give excellent performances. 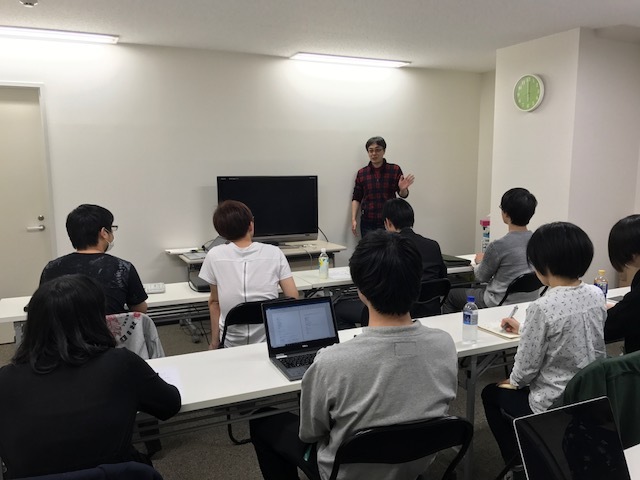 This year’s session was held in the last week of March. Everyone put a lot of thought into their slides, came to the session well-rehearsed, and gave professional, business-level worthy presentations. At the end, you could see the determination on the faces of the whole team after a rousing closing statement by Mr. Takahashi, urging the team to “stay out of their comfort zones, and continuously challenge themselves”. Soon, last year’s team will take on the role of seniors for this year’s new employees, as the new recruits (who are currently undergoing group training) move on to start their OJT. On a side note, two employees were presented with awards this year. They both gave passionate presentations, putting across the messages that they each wanted to share. Although for some reason, the moment they were told that “lunch with Oka-Sensei” would be their prize, their faces did seem to somewhat tighten a bit?